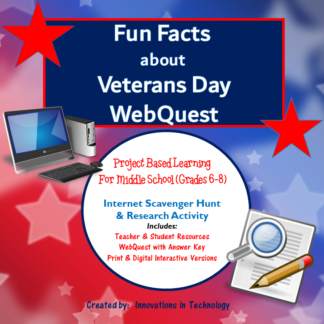 In this lesson, students learn fun facts about Columbus Day as they complete a WebQuest (Internet Scavenger Hunt) to answer questions about the topic. 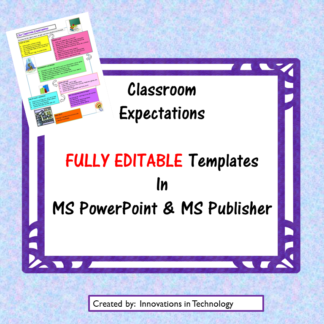 A complete answer key is provided for easy grading, along with resources for both teachers and students. 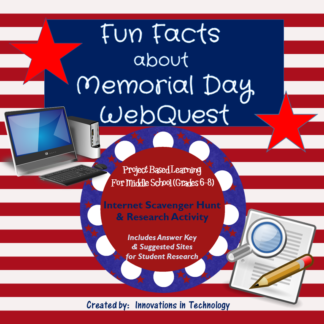 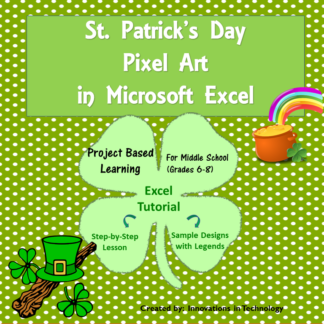 Two versions of the WebQuest are included to let teachers print the questions or to provide them digitally as an interactive page in an editable Microsoft PowerPoint file.